Does anyone know of a short story about a man who picks up and umbrella and it helps him to fly? I'd be really grateful to find it again. Have you used the Listen/Sketch/Draft strategy? This strategy works great for read alouds and can be adapted to "Read/Sketch/Draft" for individual use by students. AND...this strategy works across content areas! Everyone has heard that it is important to read to children from a very early age; but, do you know WHY it is important? What are the benefits of reading aloud to children, and what can the reader to maximize the benefits of those reading experiences? Sharun Latif Thanks for sharing this educational site. 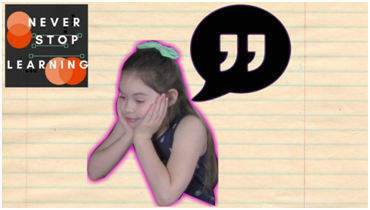 There are some great strategies to use with the grade 1 students. I totally agree with the benefits of reading aloud to lower primary students. I usually read aloud in my class, at least 2 to 3 books during the day and have seen the interest my students show. They really look forward for this session. They ...See MoreThanks for sharing this educational site. There are some great strategies to use with the grade 1 students. 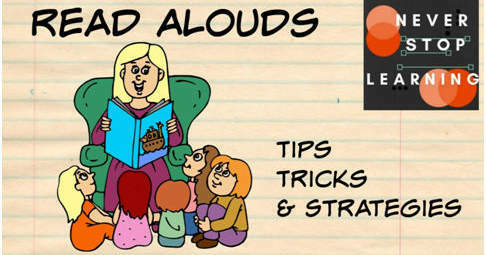 I totally agree with the benefits of reading aloud to lower primary students. I usually read aloud in my class, at least 2 to 3 books during the day and have seen the interest my students show. They really look forward for this session. They are the ones who get to choose the book they want to listen me reading. It is really helping them develop their literacy skills. Samantha Thanks for these great tips, tricks and strategies. Yes the more we read aloud to our kids, it helps develop their interest in reading.I also agree with the great benefit reading aloud has on our kids as well. There are some good books on storyline online library, https://www.storylineonline.net/library/ . Try this your kids will love it. Many students complain about getting low ACT Reading scores that tend to range from 14-24 when they usually target a score of 26. This is the standard required by their chosen colleges. According to Test Prep Toolkit, the ACT Reading test can quite be demanding, especially because it deals with meaning, unlike other subjects in the test. Then again...See MoreMany students complain about getting low ACT Reading scores that tend to range from 14-24 when they usually target a score of 26. This is the standard required by their chosen colleges. According to Test Prep Toolkit, the ACT Reading test can quite be demanding, especially because it deals with meaning, unlike other subjects in the test. Then again, it would help if the test taker reads the questions first. He or she shouldn't give up while tackling this section, but instead motivate themselves to be an expert. A test taker shouldn't be caught up with jargon or any highfalutin language either, but rather choose the most appropriate answer. It can be tricky. Practice is always important in an ACT Reading test prep where the student should be in the know about the scoring system, the test structure and the types of questions used in the ACT Test. Hello. I am looking for support as I improve as a writing teacher. This year I have been tasked with supporting students writing the Writeplacer/Accuplacer test and I realize how much I still need to learn. Any thoughts, resources, support is welcome. Thank you! Good Afternoon! I am looking for schools to participate in a Postcard Exchange. I teach 5th grade students, ages 10-11, in central Kansas. This is a high poverty building and many students will not have the opportunities to leave the city limits. I believe this would be a phenomenal project for all involved! Imagine how much we could learn from eac...See MoreGood Afternoon! I am looking for schools to participate in a Postcard Exchange. I teach 5th grade students, ages 10-11, in central Kansas. This is a high poverty building and many students will not have the opportunities to leave the city limits. I believe this would be a phenomenal project for all involved! Imagine how much we could learn from each other! Our goal is that we receive at least one card per state and eventually branch out internationally. Do let me know if you would be interested in establishing an exchange. I'm looking for opinions regarding the reading program CKLA for grade 4? Does anyone use this? I am trying to find the reading levels for SRA. I have used an old RFU assessment but don't have the chart with the levels....anyone know how to score this?? has anyone ever created a IF Then Lesson plan if so do you have any tips or strategies ?